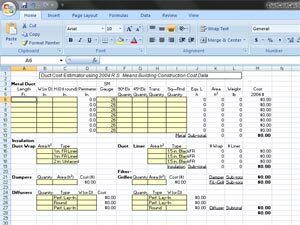 DuctCostCalc04 is a spreadsheet to compute the cost of ductwork – Rectangular and Round Metal, Insulation, Duct Board, Flex Duct. EEP is very usefu for me. I think it is useful for all other fellows. Thank you for your sharing knowledge.